How to wash a wig is a simple task when you know how. Washing a wig is a important part of maintaining the up keep of a wig. If you want to make your wig last longer then learning how to wash a wig is a must. I have written about how to Wash a Wig, here, it has 13 steps to follow but each steps is very easy to do. After a few times of washing your wigs it will become second nature. Apart from those instructal steps to wash a wig there many ways other people who have different methods to complete this task. 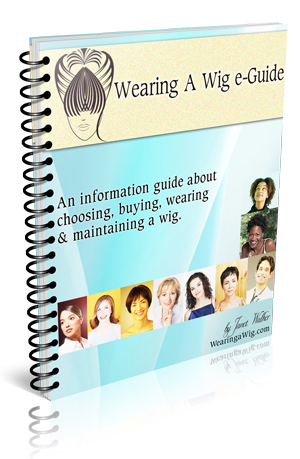 Whichever method you become more comfortable with they will alow you to achieve the same resu;lts which is to have a clean healthy looking wig. In this video you will be shown how to Wash a Wig using cold water. The shampoo and conditioner used in the video are the companies own brands, which is from the GodivasSecretWigs collection. I do not endorse these products in anyway. I have never used these products to Wash a Wig so i cannot give you my personal opinion on whether they are good for this task. If you have used these products mentioned in the video to wash a wig, please comment below and share your reviews. Many other people watching this video would greatly appreciate your personal honest opinions.